LLOYD’s Exercise Equipment, L.L.C. is a company with a vision: We strive to provide efficient, quality, client-focused support through expert repair performance and knowledgeable sales guidance better than anywhere else in Florida. We want to help our community of citizens become healthier and more fit by offering quality fitness equipment at discounted prices, giving consumers more for their money. We are a family-owned and operated company established by Robert Lloyd in 1997 right here in Daytona Beach, Florida. 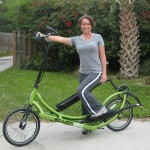 LLOYD’s Exercise Equipment opened primarily as a service/repair business, but in response to overwhelming requests for us to advise clients on where to purchase quality products, we began our sales division. Because of our extensive repair knowledge, we offer products we have come to know as “outstanding performers.” We are very proud of our brands, our prices, and our services. Our happy clients include private residents, resident communities such as apartment complexes, retirement facilities, and condominiums, vacation resorts, health clubs/gyms, developers, corporate offices, government institutions, rehabilitation facilities, hospitals, and various central and east-central Florida attractions. We are committed to our community and proudly support various organizations such as The Community Partnership for Children, The Leukemia Society, and No Pet Left Behind. LLOYD’s is a Volusia County Schools “Business Partner” and is actively involved in the Volusia County Schools Mentoring Program. We help fund public education by collecting “Box Tops for Education” at our location (you can also mail them to us). 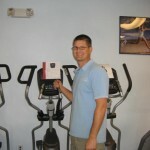 Rob (owner/founder)–Robert has lived in Daytona Beach since 1987 and been servicing exercise equipment since 1992. 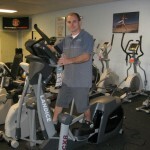 He founded LLOYD’s Exercise Equipment in 1997 primarily as a service business. 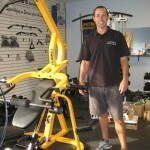 In 2002, he expanded to become a specialty fitness equipment dealer for mid to high-end brands and has had a showroom in South Daytona ever since. Rob works every aspect of his business from answering phones, to servicing/delivering equipment, to inside & outside sales. 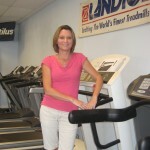 Gina (co-owner/operator)–Gina has been part of LLOYD’s since 1999 and handles various business operations such as sales/marketing, web maintenance, advertising, and miscellaneous support in all areas. Bonnie (office manager/sales)–Bonnie has been with LLOYD’s since 2004 and handles accounts payables/receivables, in-house sales, service requests, customer service, and daily office operations. Emily (part time office/sales assistant) Emily has been with LLOYD’s since 2014 and assists with office and sales duties. She is also a certified yoga instructor and personal trainer. Will (service technician)–Will has been with LLOYD’s since 2007 and has been a fitness equipment service technician since 2002. He performs in and out-of-warranty repairs, deliveries, assemblies, preventive maintenance, and large installation projects. Shane (service technician)–Shane has been with LLOYD’s since 2006 and performs in and out-of-warranty repairs, deliveries, assemblies, preventive maintenance, and large installation projects.